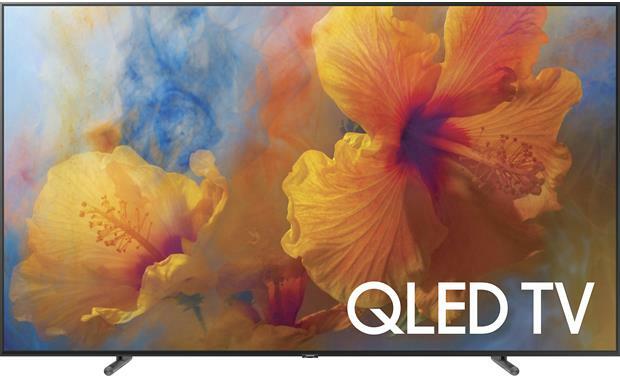 I had the opportunity to have a look at a preproduction sample of Samsung’s 2017 flagship 65Q9 65-inch QLED TV, one of the flat panels in the Samsung’s new line that offers a number of new and interesting features. Among them the company’s Voice Touch feature, which they have taken to a new level of sophistication. In their previous product lines, Samsung had a rudimentary Voice search feature which allowed the user to search for specific content in apps like Netflix or Amazon. While giving you the same ability, the new Voice Touch in the 2017 smart TVs now allows the user to enter the picture menu and turn on or off or even change picture settings. For calibrators like me and technical editors who practice calibration as part of their review process, this feature greatly increases the efficiency of the calibration process. You will first need to go through the setup process, which necessitates creating a Samsung account for downloading apps from Samsung’s app store, and agreeing to the Smart Hub conditions agreement. Once this initial step is completed, you will be ready to start using the Voice Touch feature as the Setup process automatically pairs the remote to the TV. If you have to do a factory reset for whatever reason, the pairing will be lost, and you will need to pair the remote again, which can be done quickly and easily by simply hitting the Return and Play buttons on the remote. For your information, to exit the menu, simply hit and hold the return button, which takes you out to the Home page, and then, hit it one more time to fully exit the menu. After practicing the voice control for a short while, I took it through the full calibration process using the voice control as much as I could. To make an adjustment, just press and hold down the Mic button on the Smart Remote and speak into it. The on-screen prompt will come up, speak a command, and then release the button. The TV will recognize and display the voice command and then perform the corresponding function. Setting the basic picture controls like the picture mode, peak luminance with the Backlight control, black level with the Brightness control, etc. proved quite easy. For example, simply say “Backlight 3” and the set takes the backlight setting to 3 and tells you on the screen that it is now set to 3. Since you only have to hit the Mic button and then speak the voice command, setting a parameter like Backlight is greatly simplified. I counted 25 button presses to get into the menu and change the Backlight manually from 20 to 3, compared to 1 button press on the Mic key, which represents a net savings of 24 button pushes. Note: It does get confused on the number “2” as it can also be understood as the word “to”. Other helpful direct voice commands are “Game Mode On”, “Contrast 90”, etc. Gaining access to deeper picture controls in the calibration process like 2 and 20 Point White Balance or the Color Space calibration settings is not quite as direct. I found that for White Balance adjustments simply saying “White Balance” gets you to the White Balance page and then you have to manually select 2 or 20 Point, depending on which feature you need to access, and go in and make your adjustments accordingly. I counted 22 button presses to get into the White Balance Menu manually. Then, another button push to enter 2 Point or another two to enter the 20 Point adjustments. This compared to two button presses to enter the 2 Point menu or three button presses to enter the 20 Point menu when I used the Voice Touch feature translates into a significant time savings. The time savings becomes much more significant when you actually start making white balance or grayscale adjustments, because when you are in the menu system the meter’s readings are affected by the local dimming making the result somewhat inaccurate. Consequently, this interaction requires going in and out of the menu many times, especially when working on luminance levels below about 60% in order to get one luminance level correct. Doing 20 Point white balance is extremely time-consuming using the manual method with the remote control. Moving on to the Color Space adjustments the voice command “Color Space Settings” brought me directly into the Color Space menu where I could then change it either manually with the remote, or by using voice from Auto to Custom and start my color space calibration. Changing colors and then changing the values of those colors is more of a manual process. I was able to perform a full SDR calibration in Movie mode in about 45 minutes, which included a full 20 Point white balance and color space calibration. Since 20 Point white balance is a new feature on Samsung TVs, I don’t have a direct comparison of timing from previous calibrations that I have done manually. I can just say that it normally takes me between 1 hour and 15 minutes and 1 hour and 30 minutes to do this on an older Samsung with 2 and 10 Point white balance and color management. Typically, calibrating both a Day and a Night mode, and doing a separate HDR10 calibration on Samsung TVs in the last year or so has taken between 3 and 3.5 hours. If we add another 10 Points of grayscale to that process manually, it will take a lot longer than it did with previous sets with only 10 Point white balance. Clearly, the process will be much faster with the Voice Touch feature. I look forward to begin using this feature in the field as I know it will increase my efficiency and save me a lot time in the calibration process. I expect other calibrators, and technical editors will also greatly appreciate the time savings. For the average consumer, the Voice Touch feature will also be very helpful by simplifying changing inputs, raising or lowering the volume or changing channels, and opening apps. Virtually, every function on the TV as well as connected external devices can now be controlled via voice making some actions that would previously require several button presses attainable with a single voice command.